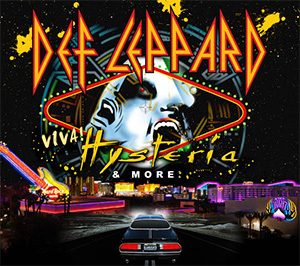 Home›Features›Def Leppard - VIVA HYSTERIA The Movie! 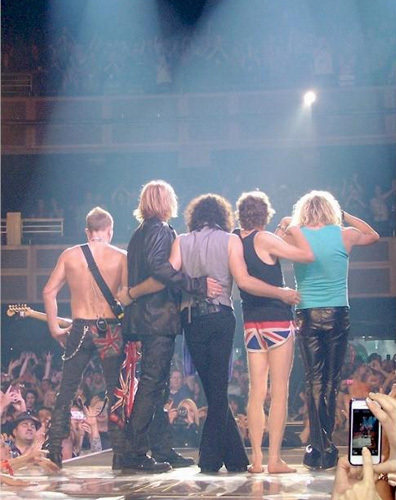 Def Leppard - VIVA HYSTERIA The Movie! I've been a Def Leppard fan for over 30 years now, I was 11 when pyromania came out in '83 and thanks to my older next door neighbour,that was my introduction to them! I've never looked back! I live very near Sheffield,so have been very lucky to see Def Leppard more times than I can remember in and near their home city, which is always very special. The Viva Hysteria Screening in Sheffield was open to Unlimited card holders (VIP cinema cards) only and as soon as I heard about it, I knew I had to go! 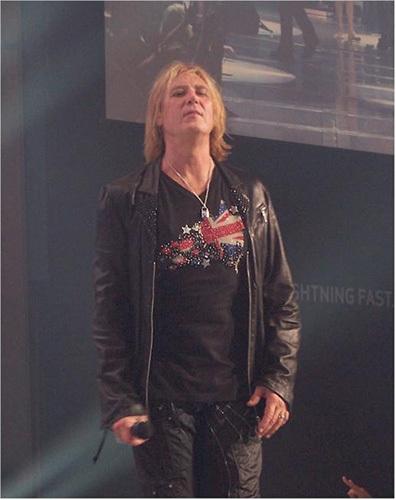 The fact that Joe Elliott was attending was the icing on the cake!! 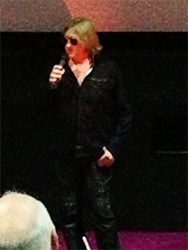 It was the first ever screening in the world of Viva Hysteria and Joe attended to introduce the film and watch it with us fans. It started at 19:00, Joe came in and gave a brief speech introducing the film, saying that the Las Vegas Residency at the Joint back in March/April was one of the best things they've ever done. 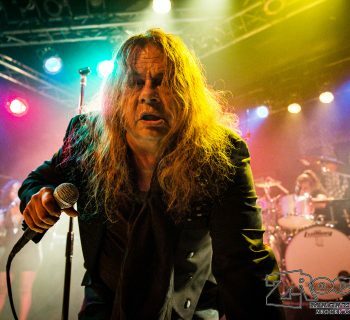 So much so that they've been invited back to do another residency,showcasing another album, hopefully next year when Viv has recovered from his current health problems. (Guitarist Vivian Campbell was diagnosed with Hodgkin's Lymphoma, a type of cancer, just before the residency started and is just finishing a course of chemotherapy). The film itself is an absolute must see for not just Lep fans, but anyone who has an appreciation for a good, entertaining,honest,down to earth band who love what they do. Seeing it on the big screen is amazing, it really feels like you're there, at the concert. Having seen videos on YouTube of various parts of the concert,it was obvious it was going to be good, but I didn't appreciate just how good!! The chemistry these guys have together is plain to see, they enjoy being up on stage together. Lots of little interactions are captured in the film which is lovely to see. Lots of smiles and giggles from the guys too and ladies, that famous savage tongue makes an appearance too!! One of my favourite parts is the inclusion of Steve Clark in the intro of Gods of War. They play the video from the Hysteria tour of him playing the intro on the big screen, and the band play along side him. That is special. One of the best things as well, is how involved the audience is in the film, they're a big part of it! Chances are if you were there, you're probably in the film,singing and dancing away! The film starts with a montage of clips detailing the "Hysteria Era". They play the Hysteria album in its entirety,followed by an Encore of Rock of Ages (Stand up Rick Allen!!) and Photograph. The music sounds better than ever. 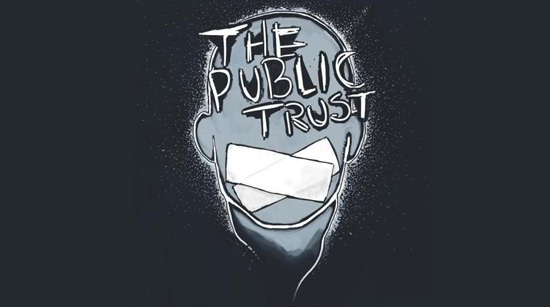 It may be 25 yrs old now but it still sounds relevant and fresh. 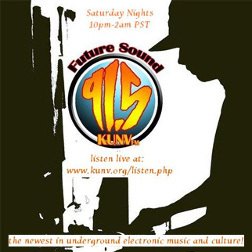 Joe showcases two T-shirts made by British Designer Claire Jane Vranian, who now lives in Las Vegas. Those who went to/heard about the residency may wonder where the opening set from "Ded Flatbird", the worlds best Def Leppard tribute act is. 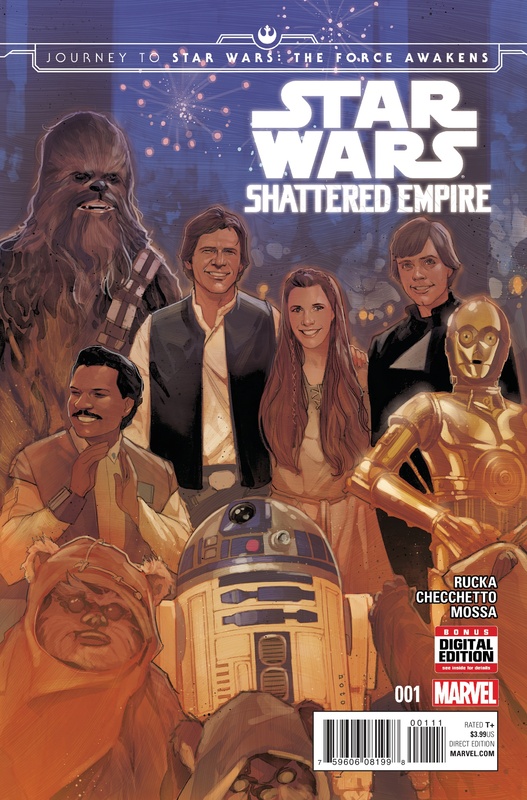 Well, that's exclusive to the DVD/CD/BLURAY that comes out next month. Don't worry, you'll get to see it! One piece of advice, when the credits start at the end of the film, DON'T LEAVE!!!! There's a lovely,special surprise after the credits that you won't want to miss!! If you enjoy Def Leppard and their music, then treat yourselves to an Amazing night out!! I guarantee you won't be sat quietly as normal watching the film, you'll be singing and dancing along within the first 5 minutes!! 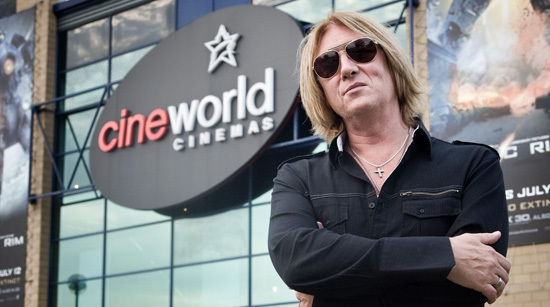 Seeing Joe sit in the cinema with around 70 people, it was obvious that yes, he is a world famous Rock Star, but it's also very evident that he's still a Yorkshire lad from Sheffield. 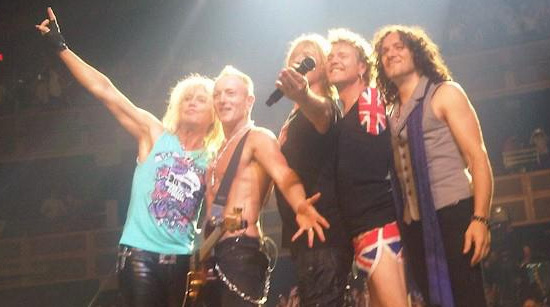 Being from this area myself, that is lovely to see and is one of the main things that make Def Leppard so special. They can grace all the major stages in the world having sold over 100 million albums, but they've never once taken it for granted. Thank you Def Leppard for Rocking Las Vegas and for being the down to earth lovely blokes that you are. ROLL ON THE NEXT RESIDENCY!!!! 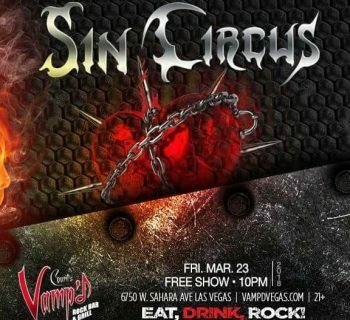 FROM SEATTLE TO VEGAS- SIN CIRCUS BRINGS A TASTE OF THE PNW TO VAMP'D! 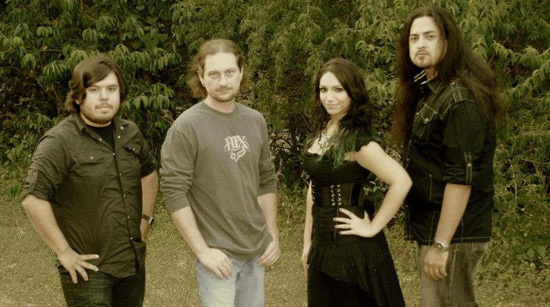 Madame Mayhem Bursts Onto the Scene With Now You Know!